We’ve continue to work with Medicare this year, developing additional modules for their management systems that we have built. The latest work has been to add additional features and functionality to the GRS system. Crucial to Medicare’s business is staff rostering – ensuring that enough of the right people are at the right place at the right time. 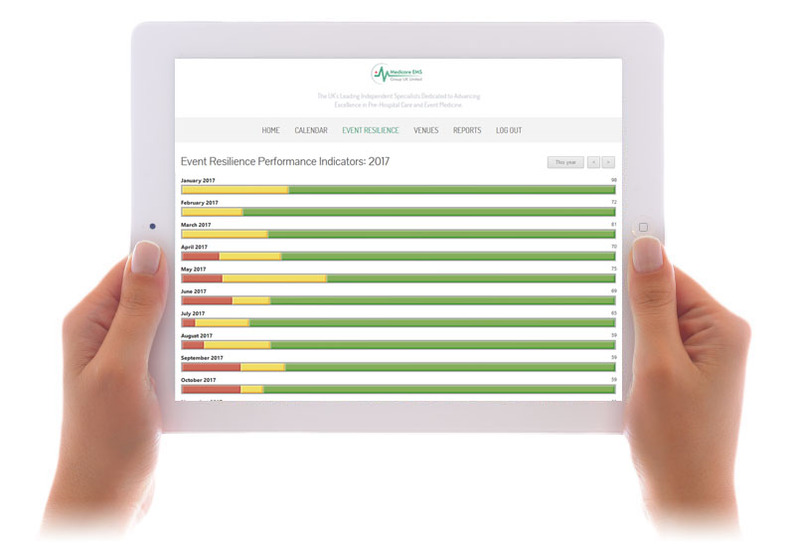 To do this, we developed the GRS System, enabling Medicare to setup events, allocate staff and monitor events & to action on any that are under-staffed. 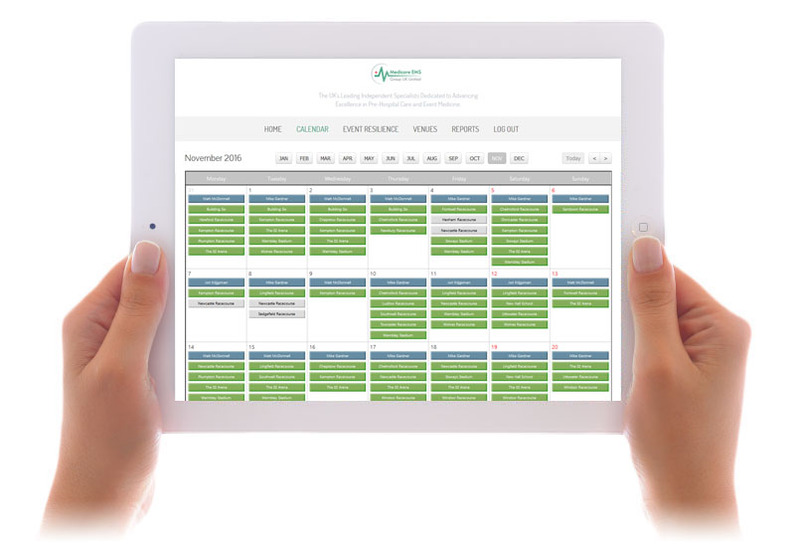 The Dashboard view above displays a monthly overview of all events. A traffic light system shows those that are fully staffed, those where staff have been allocated but are yet to confirm these attendance and those where more staff are required. This enables Medicare to quickly respond to any event and changing requirements. When a staff member is allocated an event, they’re automatically sent an email with a link to accept or decline the shift – all responses are recorded in GRS. Once accepted, a briefing document is sent prior to the shift and GRS enables Medicare management to see whether the briefind document has been read or not. 1 day prior to the event, the system sends an automated SMS reminder to all allocated staff to ensure they attend their shift. We have added new features such as reports, which Medicare can print to see a detailed overview of events for a month, with resources allocations. We’ve also added the Event Resilience Dashboard, which displays a traffic light system of bar charts to giving a monthly view of the coverage of events and where more staff are required. All staff allocations are now managed through GRS, which has enabled us to build staff reports, displaying how many shifts, the % of total shifts and hours each person has worked and ensuring that people are paid accordingly. This and other components of the management system will continue to evolve as the business grows and develops. If you’re interested in knowing more or have a requirement for a system to streamline your business processes, please call Rob Caston on 01285 643 496. This entry was posted in Development by Rob Caston on November 30, 2016. Bookmark the permalink.